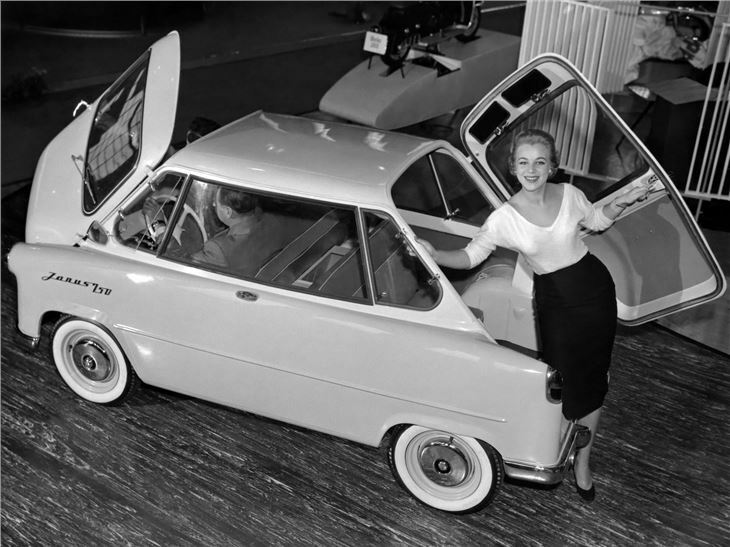 The German microcar maker Dornier thought it was on to something when it unveiled the Delta, its tiny new product, in 1955. It was an angular looking car, which was interestingly symmetrical along its length and width. The car featured two pairs of seats arranged back to back, and passengers accessed these seats via a door on the front or an identical one on the back. 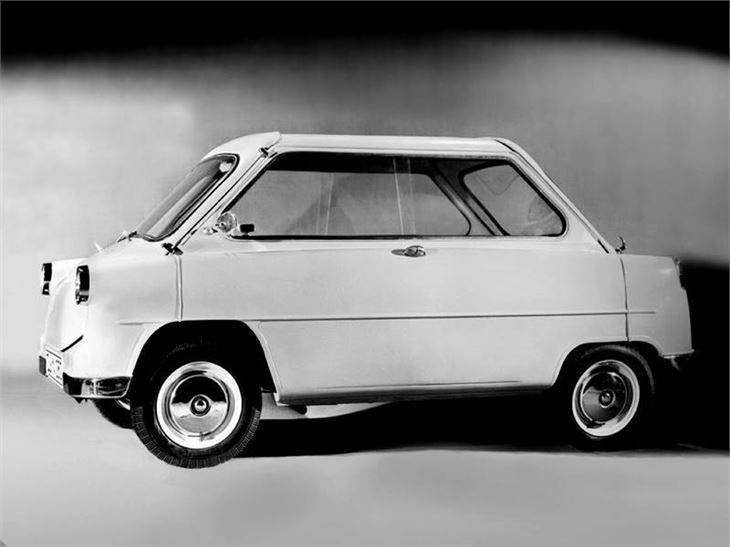 It was an odd concept, but it didn't stop German motorcycle maker Zundapp from buying the rights and producing it. 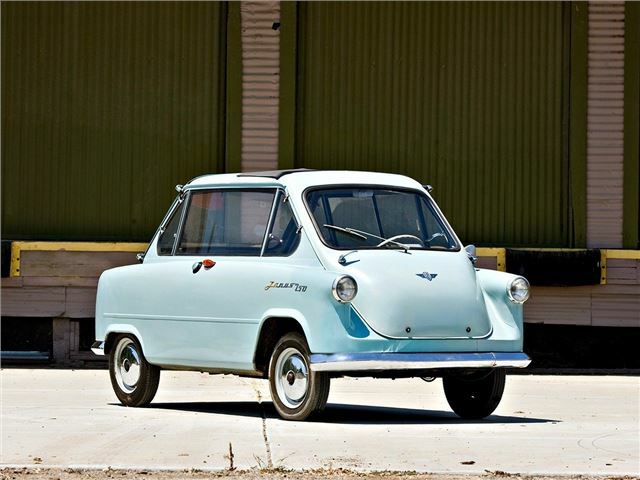 The result was the aptly named Janus, which went on sale in 1957. It featured several changes detail changes from the original Delta's design. 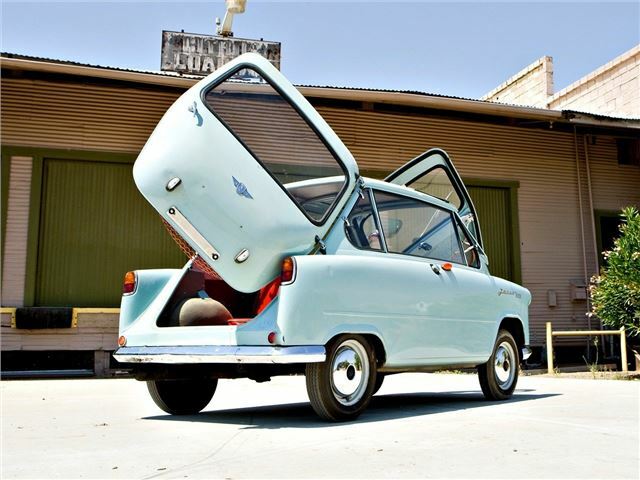 The doors were no longer top-hinged and were instead conventionally hinged at the side. The styling was also toned down somewhat, but the centrally mounted engine remained – this was still a car, which defied all convention when it came to design, and construction. The engine itself – a 248cc single-cylinder two-stroke – was less idiosyncratic as it was similar to the power plants installed in many microcars, which had become very popular because of the Suez crisis. 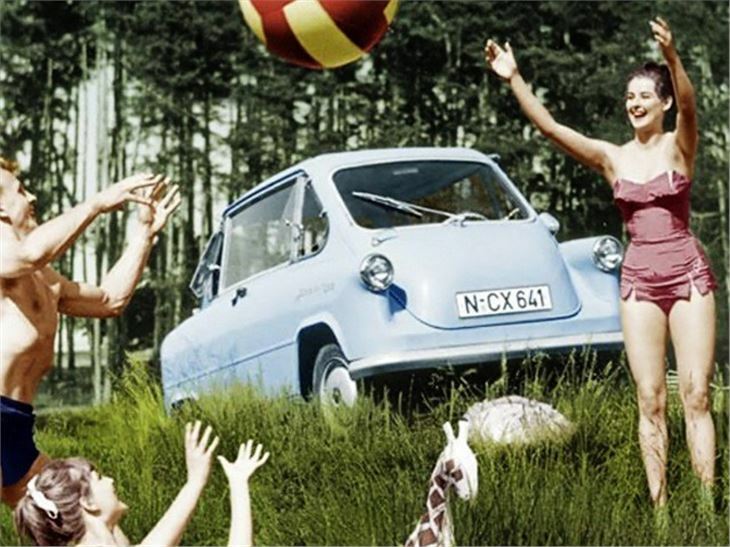 But in 1958, the car was dropped and Zundapp returned to focusing on motorbike production.